Maintenance Industry Trends | What is the Internet of Things? 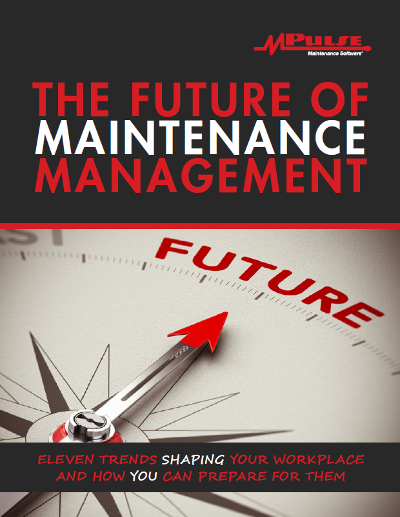 In the beginning of this series, we promised you the 10 most important trends driving changes in the maintenance industry today. But another trend is growing much more quickly than we anticipated just a few short months ago, so we’ve decided to cover it in this bonus installment. The Internet of Things (IoT) is creating a lot of buzz the maintenance world, and we believe it will change the way maintenance professionals collect asset information and exchange data with other systems. The IoT is a natural fit with the way maintenance teams operate—collecting data faster and easier than ever before. Best of all, maintenance teams can use that information to proactively perform maintenance and even predict asset failures. Many maintenance teams already collect data in a similar way by recording the output of meters and gauges, although we call it Condition-Based Maintenance. The rapidly growing market for IoT devices creates an opportunity for maintenance managers to use that data to improve the efficiency of their maintenance operations. Sometimes called the Industrial Internet of Things (IIoT) or machine-to-machine (M2M) communications in the industrial world, this term describes systems that gather information directly from multiple devices, which can be almost anything with a sensor—including computers, vehicles, smartphones, appliances, building automation systems, and production equipment. The “Internet of Things” is perhaps a misnomer, because the Internet isn’t even necessary; these devices typically send data to other devices via a wireless network connection or the wired local area network (LAN). How Does the IoT Affect Me? As technology becomes less expensive, while also getting more powerful, an explosion of IoT devices is set to flood the marketplace. Approximately 26 billion connected devices will be in place by 2020, according to Gartner, an increase of 30-fold over 2009. These aren’t just new devices either—IoT technology can also gather data from existing gauges, meters, and PLCs on your current assets. So what does this mean for maintenance professionals? It means more data—a lot more data—and more data in real time. And more real-time data means better insights into your assets, how they’re working, and what they’re really costing you. The true power of the IoT isn’t actually in the sensors and devices themselves. It’s the software that stores and processes their data that makes the difference. Computerized Maintenance Management System (CMMS) software helps you make sense of what to do with the data gathered by these devices, telling you take action when the time is right. When an asset’s condition changes, your CMMS lets you know so your team can react to any problems immediately—improving the reliability of your assets while also reducing risk and saving money. And just think how impressed people will be when you respond to a problem they haven’t even told you about. With the IoT, big data becomes even bigger. The key is finding a way to use that data to manage your maintenance operations. The combination of the IoT and CMMS can improve the way maintenance professionals monitor and control assets. The long-term goals of the IoT and CMMS technology are improved efficiency, better customer service, and enhanced safety. Some maintenance operations are already using the IoT and CMMS. Products like MPulse DataLink Integration Adapter let you quickly and easily move your Condition-Based Maintenance data in and out of MPulse CMMS software. It’s an easy way to start getting real-time data from your assets, while reducing manual collection and logging. Don’t be fooled by the latest tech lingo. For maintenance industry professionals, the “Internet of Things” simply means listening to what your assets are trying to tell you—and using the power of CMMS to make informed decisions about the best way to maintain them. Need help getting started? Contact us to learn more. The journey of a thousand miles begins with one step, and the journey to better maintenance management begins with a simple phone call.